AdamMaleBlog - Gay Culture, Art, Music, Humor, and more! 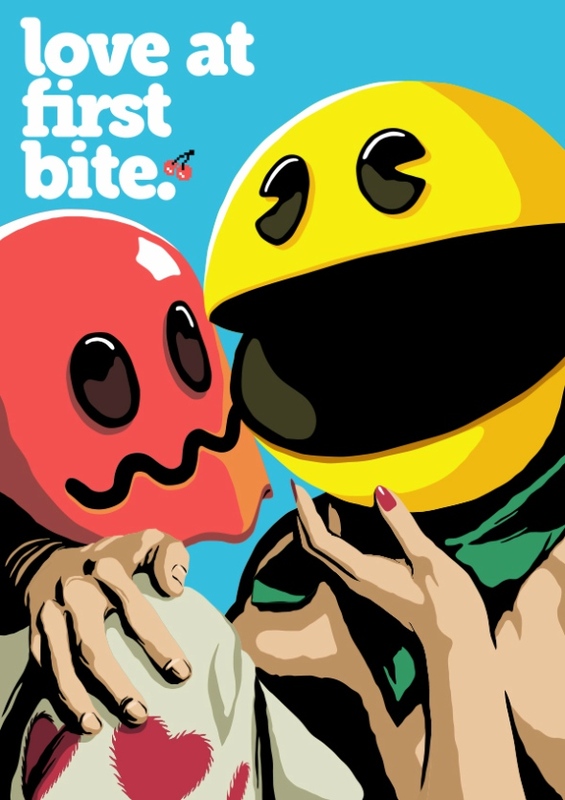 : Butcher Billy Gets Pac-Man Fever! 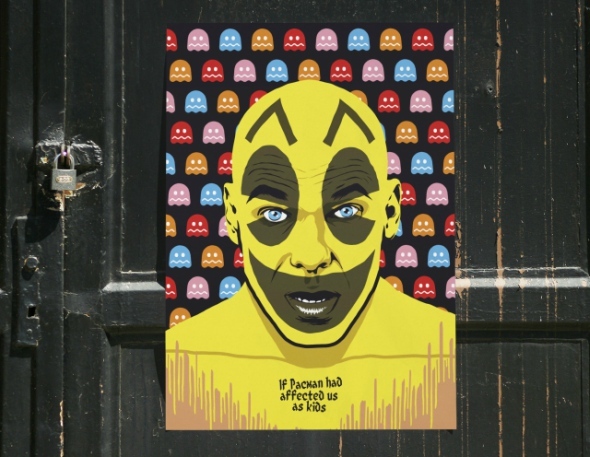 For those unfamiliar, Butcher Billy is a terrific artist/illustrator from Brazil. 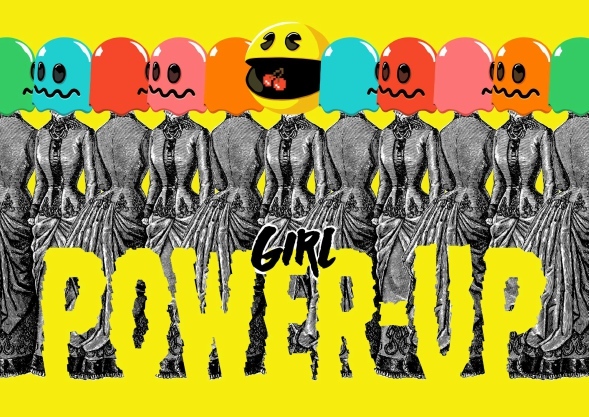 In the last several years, he has gained quite a bit of attention for his wonderful illustrations re-envisioning punk and new wave musicians as superheroes, characters from The Breakfast Club, and Nintendo mainstays. For example, Morrissey as Superman, Devo as The Flash, Joy Divison as Batman, Sid & Nancy as Mario and Peach, etc... You can view some of those here. They are brilliant. Actually, all of Butcher Billy's work is brilliant. 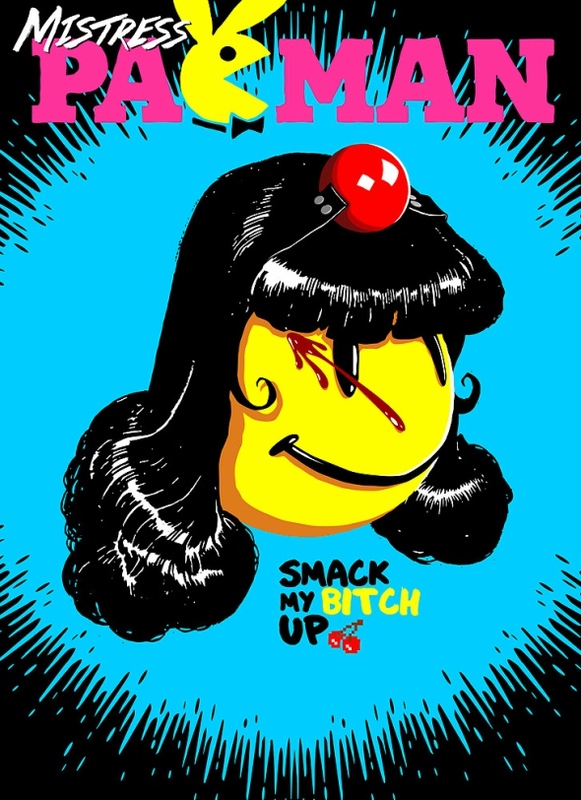 Recently, I have noticed Butcher Billy turning his attention to the wonderful world of Pac-Man. 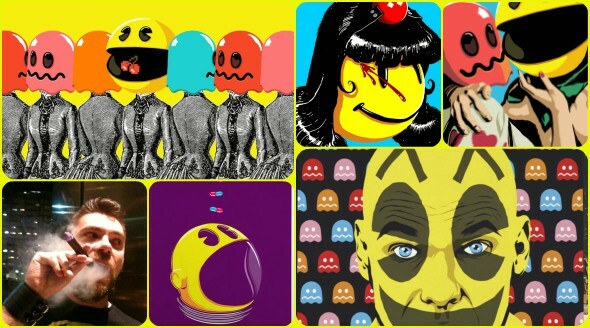 This week, he added two amazing new Pac-Man illustrations. 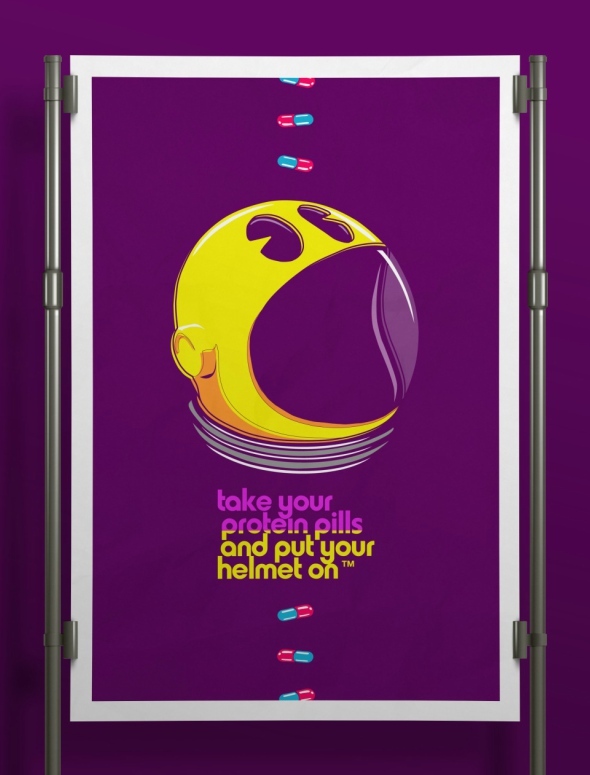 Additionally, in the last couple of years, he has included Pac-Man quite a few other times. Is he prepping for a Pac-Man themed show? One can only hope. Regardless, check out the work below! Then, if you have a few minutes, go check out Butcher Billy's Website, Behance, Tumblr, or one of his stores such as Redbubble, Curioos, or Neatoshop!